Andrew has joined the team at the Royal Academy of Music Junior Department in London, and will teach both individual singing lessons and group/song classes. Andrew went to Hong Kong with ABRSM, during which he examined instrumentalists and singers across the grades, as well as experiencing the sights, sounds and foods of this incredible place. Andrew joined The University of Nottingham as a singing tutor, teaching students in all years of the Music course and preparing them for their recitals and technical exams. Andrew was thrilled to be recently appointed as Head of Singing at the renowned Repton School in Derbyshire. His role there involves teaching singing lessons, helping with the overall vision of singing at the school, and working with colleagues in the organisation of masterclasses, concerts and competitions. Uppingham and Stoneygate Schools both enjoyed excellent end-of-term musical events. 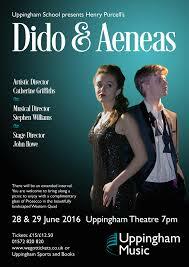 Uppingham put on its first ever fully staged opera, Dido and Aeneas by Purcell, and this was a roaring success. All of the singers excelled themselves, and it was fantastic to see their commitment to both singing and acting. Stoneygate put on a varied concert of choral and orchestral works, along with instrumental and vocal solos. There was also a surprise Elvis impersonator . . . The blog report of this concert is here. 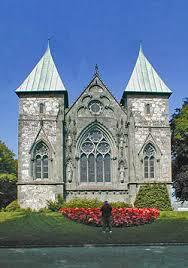 In March 2016, Andrew travelled to Norway to sing the role of Jesus in Bach’s Johannes Passion (St John Passion) in Stavanger Cathedral. This was a very moving occasion in front of a packed audience, and the choir and orchestra were in the capable hands of conductor Oddgeir Kjetilstad. In March 2016, Andrew had a busy time examining for ABRSM in Nottingham and Leeds. These tours involved examining instrumentalists and singers up to Grade 8. For more info about ABRSM, the world-leader in music exams, visit abrsm.org. In November 2015, Andrew sang the bass solos in Bach’s magnificent Mass in B Minor. This was under the baton of the wonderful Ben Palmer, and his orchestra, Orchestra of St Paul’s. The choir was the vibrant Vox Cordis. I am currently working with the superb Crouch End Festival Chorus as a vocal coach, to assist the tenors and basses in preparation for their upcoming concerts. 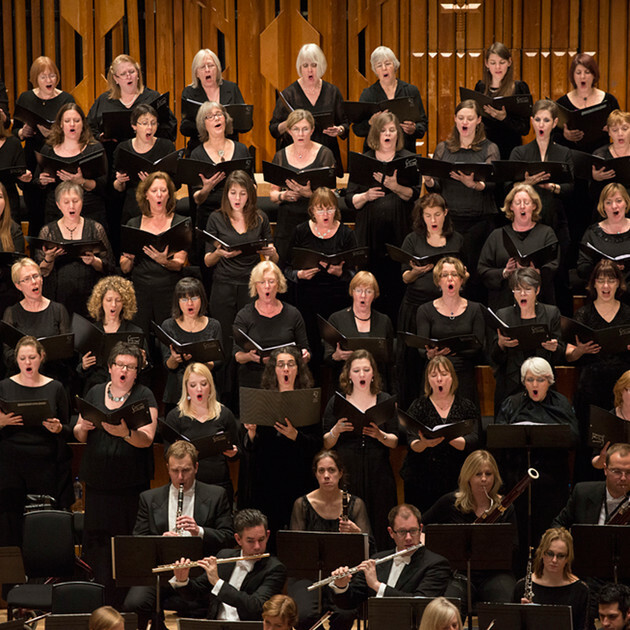 These incredibly rewarding evenings involve jointly leading rehearsals with the amazing conductor David Temple, offering suggestions and tips about improving the overall sound and negotiating some of the more difficult choral passages. I highly recommend that you attend one of their concerts – their website is www.cefc.org.uk. 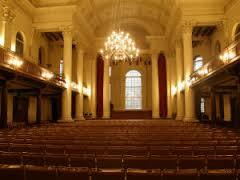 So far we have looked at Britten’s Saint Nicolas, Mozart’s Mass in C Minor and bach’s Mass in B Minor. In September 2015 I travelled to Ghent to sing the role of Action in a staged production of West Side Story. We put the show together in two days, and this consisted of a full orchestra, singers and an amazing troupe of dancers. You can see the huge outdoor stage on the right of the photo, as well as the “catwalk” that we used for the songs. 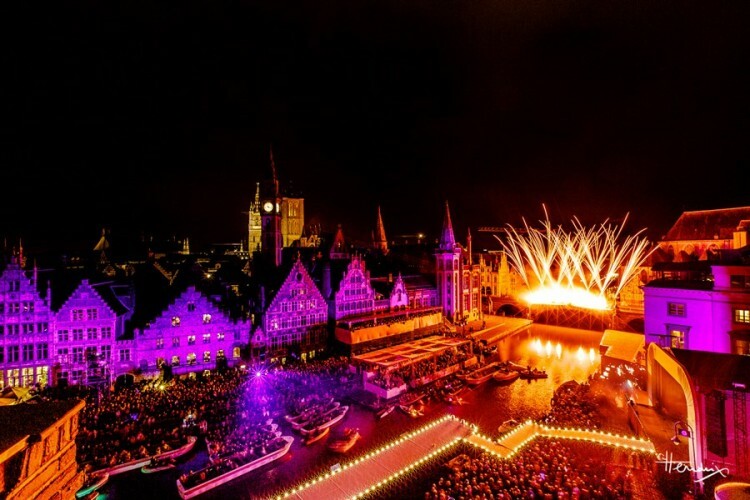 About 10,000 people came to watch on the streets of Ghent, and at the end there was a spectacular firework display. A memorable weekend!